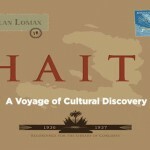 The project Alan Lomax in Haiti is directed by Gage Averill and sponsored by the Association for Cultural Equity. Repatriation of the material to Haiti is funded by the Clinton Global Initiative and the Green Family Foundation. The project brings to light the recordings folklorist Alan Lomax made in Haiti for The Library of Congress from December of 1936 until April of 1937. Lomax was documenting music and ritual at the behest of his colleague and friend, Zora Neale Hurston, and under the auspices of the Library Of Congress. Over the last ten years the Association for Cultural Equity, in collaboration with the Magic Shop in New York City and staff at the American Folklife Center, has had the recordings digitally transferred, restored, and denoised in order to return them to the Haitian people. 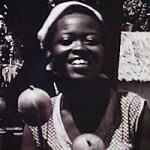 See the Grammy-nominated collection, Alan Lomax in Haiti, 1936-37, a 10-CD, book, and DVD collection from Harte Records with the Library of Congress and the Archives for Cultural Equity. The Ancient Maize Map is the outcome of a project directed by Michael Blake along with Bruce Benz (Texas Wesleyan University), Lori Baker (Baylor University), and Hendrik Poinar (McMaster University), and funded by Canada’s Social Science and Humanities Research Council. 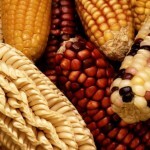 The research team is studying archaeological maize collections stored in museums and other institutions in about eight different countries throughout the Americas. The project’s research goals are to directly date the samples using AMS radiocarbon dating, conduct detailed morphological analyses of maize cobs, and extract and characterize ancient maize DNA. 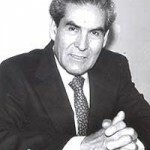 The Andean Democracy Research Network is directed by Max Cameron and funded by the Martha Piper Fund, the Glyn Berry Program in the Department of Foreign Affairs and International Trade, Canada, the International Development Research Council, and more recently by the Ford Foundation. This is an international research network dedicated to providing timely, impartial, high quality research on democracy in the region, and to facilitating evidence-based decision-making and informed public debate. It is designed to serve as an ongoing source of public and international support for democracy in the Americas, as well as a process for engaging civil society in a sustained and constructive dialogue on the state of democracy. 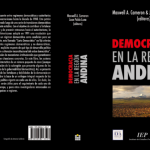 See Cameron and Luna (eds), Democracia en la región andina: Diversidad y desafíos. Lima: Instituto de Estudios Peruanos, 2010. 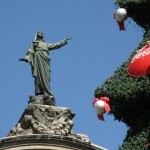 Argentina, French Guiana, Cuba, Puerto Rico, and Colombia. The group seeks to understand how variation in species distributions affect the functioning of ecosystems and the stability of food webs. 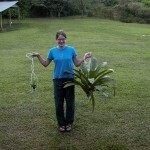 This issue has become more pressing in a world experiencing rapid, and sometimes unexpected, declines in biodiversity. It is a formal international research network that conducts replicated experiments over both hemispheres, and serves as a model for merging the fields of community ecology, biogeography and phylogeny. 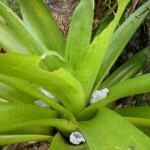 It studies advantage of an ecosystem that is naturally replicated from Florida to Argentina: the faunal food web inhabiting water-filled bromeliads. The Liu Research Group on Gender and Sexuality in Latin America is organized by graduate students in the Humanities and Social Sciences and funded by the Liu Institute for Global Issues. 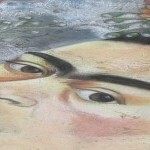 The group aims to contribute to ongoing discussions about Latin American gender relations, sexual politics, and feminist theories by bringing together graduate students, post-doctoral fellows, and faculty interested in these issues. 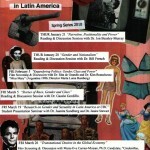 Through a series of reading sessions and film screenings this group seeks to challenge essentialist gender ideologies, explore contemporary social movements organized around issues of gender and sexuality, consider alternative sexualities, and interrogate notions about Latin America as a homogeneous region in critical ways. 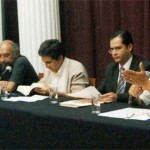 The Liu Working Group on Latin America and the Global is organized by graduate students and faculty in the Humanities and Social Sciences and funded by the Liu Institute for Global Issues.